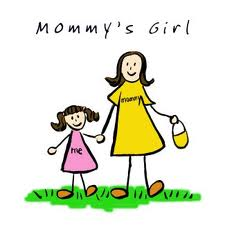 Juliana Grace Blog Space: 3 Ways to Show Love to Your Mom Everyday! 3 Ways to Show Love to Your Mom Everyday! Mothers day just passed and I hope you all did something nice for your mothers. However, our moms do so much for us every day that I think we should show more appreciation and love toward our moms everyday! Here are 3 ways that you can easily say I love you! 1. Offer to help with a meal or clean up. We all, myself included, dread having to put a few dishes into the dish washer, but just taking 5 minutes to do this will really make your mom happy (and probably put you on her good side. Haha!). 2. Massage her shoulders. This is one of those things that I am scared to start for fear I won't be allowed to stop however, our moms do a lot through the day and deserve a quick little back massage. 3. Ask to do something with her. Whether it be a board game, watch a T.V show, or just eat breakfast with you, your mom I am sure would feel honored to be asked to stop what she is doing and spend time doing something relaxing with you. How do you show your appreciation to your parents? Comment below! Go and treat your mom because if she is anything like mine she deserves a little break for everything she does. If you have any suggestions or questions, feel free to email me as well! I love hearing from you all.